apologize—to the other person and to God—then we joyfully move on, guilt free. 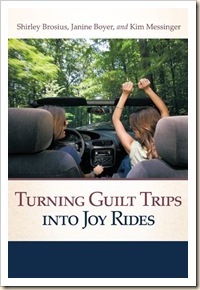 We shared our insights in our book, Turning Guilt Trips into Joy Rides. We would love to have you visit http://www.friendsoftheheart.us to learn more about us, order the book, invite us to speak or just to enter our Blog Tour contest. Kim Messinger, Janine Boyer and Shirley Brosius had a common bond of Christian service when Christ drew them together for their first small group meeting in January, 1998. Since then they have drawn closer through life’s joys and struggles and found God to be sufficient for their every need. They call themselves “Friends of the Heart” because their passion is to help women open their hearts and find joy in Christ. Kim and Janine supported Shirley in writing Sisterhood of Faith: 365 Life-Changing Stories About Women Who Made a Difference, which was released by Howard Publishing, a division of Simon & Schuster, in 2006. 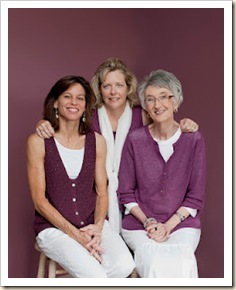 More recently the three women worked together to write another devotional book, Turning Guilt Trips into Joy Rides. They have spoken at women’s retreats and events in five states. All three women live in Millersburg , Pennsylvania.